THIS WEBINAR HAS ENDED. PLEASE REGISTER FOR THE ARCHIVED RECORDING. Join instruction librarians Emily Carlin and Darcy Gervasio of SUNY Purchase College as they discuss combating fake news and promoting media literacy in the “post-truth” era. They will share their experiences teaching an information literacy program titled “Don’t Take the Clickbait: Practical Ways to Recognize and Fight Fake News.” They will also engage in discussions focused on sharing experiences and brainstorming ways to engage with patrons from a variety of backgrounds and political orientations. Attendees will learn about using hands-on activities to promote critical thinking about news sources, and different strategies to help and encourage library patrons to fight the spread of fake news and misinformation. Darcy has published articles and conference papers on SMS reference, “slow” assessment, and providing library outreach to the Occupy Wall Street movement. Her research interests include: critical information literacy, assessment, virtual reference, and radical reference. 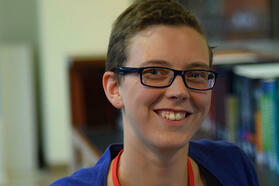 Emily is a subject liaison for the natural and social sciences. 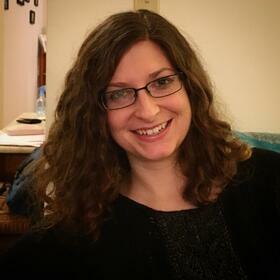 Emily holds a BA in Logic from Smith College, an MA in Philosophy from Indiana University, and an MA in Information Science and Learning Technology from the University of Missouri. Her research interests include library services for people with disabilities, assistive technology, and critical information literacy.